Holiday seasons are great. You have an excuse to go out and eat even more without feeling too guilty. The damage to your bank account and body can be ignored until January comes and you just enjoy feast after feast. And then we all freak out in January. This gluttony comes just once a year so we suspend our guilt - at least for December. 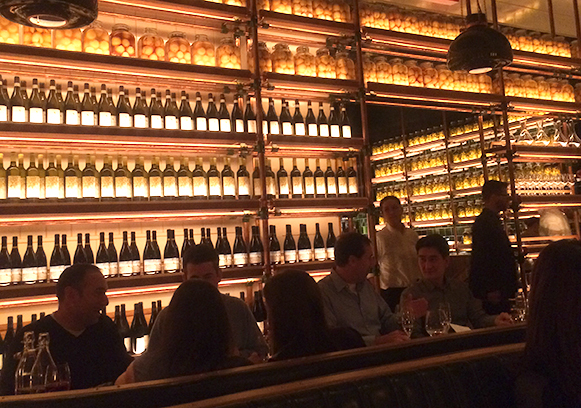 Among the many feasts I enjoyed in December, I enjoyed Piora in the West Village most. Their menu was written in an abstract way so I had to ask a lot of questions but both the waiter and the co-owner, Simon Kim, were very patient and happy to answer all of our questions and gave us good suggestions. All the staff at Piora were top level professionals but very kind and polite and they made our dinner experience very special. Piora offers three levels of course menus: a two course pre-fixe for $55, a three course pre-fixe for $75 and a chef's tasting for $125. You can also add-on a special rib-eye steak for two if you wish. We picked the two course pre-fixe and a dessert to share. I had "squash" for the first course. It was roasted butternut squash, pureed acorn squash and pistachio coulis topped with black truffle and parmigiano. My husband had "apple" which tasted like a Waldorf salad but of course much more complex. We both loved the squash dish very much. For our main course, I had "orata" which is a pan fried Italian sea bream cooked to perfection and garnished with wax beans and salsify. It was a light and very basic dish compared to the other items on their menu but I enjoyed it very much. My husband had "heritage pork". The meat was the tenderest it could be and the sauce was divine. I understand that their pasta is a must-have and I regretted one of us did not order a pasta dish. I would love to go back there to try sometime. Sorry, no pictures this time. The restaurant was very dim and the pictures I took do not represent the beauty of their product so I'd rather not post them here. And this is an extra but we also visited Upland in December. Upland is the place to be now. 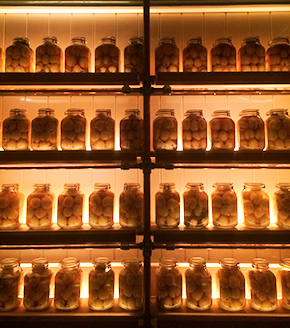 I loved Il Buco Alimentari (read my best of July/August 2014 article) where the chef, Justin Smillie, was executive chef. So I have been looking forward to visiting Upland. Upland categorizes its menu as rustic Italian/California cuisine and based on what I have seen in many photos and some of the reviewers' comments, I never expected this place to be so fancy. 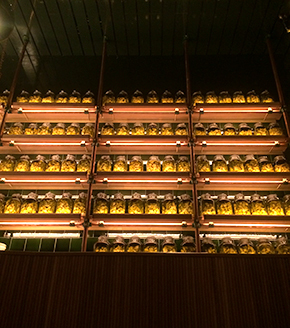 When you step into their entrance, you see rows of beautiful jars (when I was there it looked like they had peaches in all jars) all along the back and sides of the restaurant. I am a super sucker for jars and with the back lighting it was very beautiful. As for the food, I felt like we ordered the wrong things at Upland so we will try to give it another try.